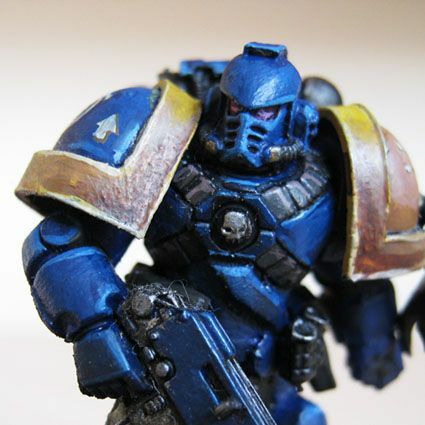 Actually it's pretty dam close to the fan model I have and that one is two thirds the height of a 40k knight. This model with be obviously bigger. Not only in height, but side to side and deep. I "called it" over a decade ago, there was absolutely no change GW would permit this model to be "6mm compatible". You can still use it but infantry will look like 3mm next to a truescale 6mm titan. As usual some will care and others will not. Personally, I give this a big "meh". I got bigger fish to fry. Epic Armageddon doesn’t specify model or base size for WE so both are perfectly legal and can be used on the table side by side. Heck I’ve used these too Warlord’s together at multiple EpicA tournaments and it looks bad and comical but is perfectly legal. For another example the FW Thunderhawks takes up what 4 or 5 times the table area of a 1st Ed Thunderhawk? I'm reliably informed that the base sizes are 120 x 92mm oval (Warlord); 90 x 52mm oval (Reaver); 32mm round (Knights). As a help for visualisation, this blog has a good summary of the bases current GW models are supplied with. For anyone concerned about using older models, there's lots in the background regarding variation between Forge Worlds. While it's not going to fly for the beetlebacks, forumware Titans are going to look fine for the most part, based on the base sizes for comparison. 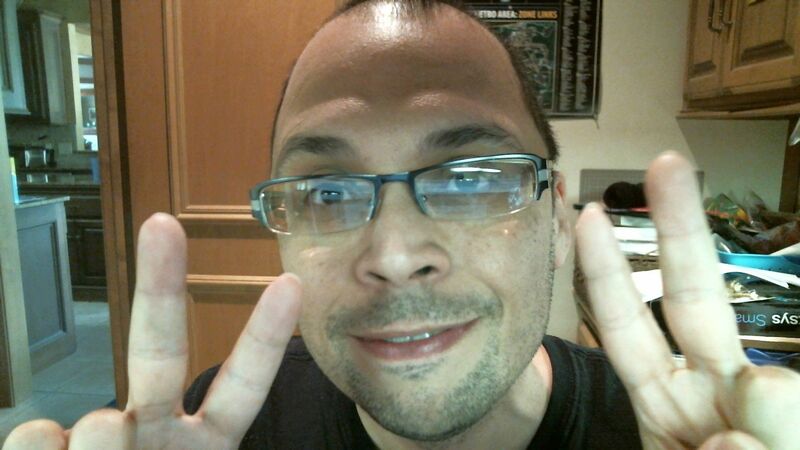 It's also worth pointing out that if both of you are using older models, there's no relative advatange/disadvantage. Sadly your reliable source is wrong on that. People were asking on Facebook and Andy Hoare (who works for the Specialist Games team at GW) replied and confirmed the Knights are on 40mm bases. If you have a close look at the photos of the Knights on GW's site and compare them with photos of models with 32mm bases and 40mm bases it's clear they are on 40mm bases. Comparatively then it's a near certainty the Reaver is on a 105mm by 70mm base. BTW ... Anyone have any new pics of Nessie or Big Foot ? They might be more "accurate" then much of what comes out from GW/FW, fans, minions , etc., very often !!!! People were asking on Facebook and Andy Hoare (who works for the Specialist Games team at GW) replied and confirmed the Knights are on 40mm bases. Looks like GlynG's right, with the Reaver on a 105mm wide oval; and the Warlord on a 120mm? Yeah, there was an image of a Knight next to a modern Blood Bowl mini (32mm bases) and the Knight’s base was a little bigger. I believe they said previously they're working on smaller titans too. Unless you much prefer the Lucius look over the Mars I'm not sure they're not good value though. The detail, design and poseability on it is WAY worse and they're currently £37ish plus postage whereas an upcoming Warlord will probably be £50 or £40 at a 20% off discounter. I'm personally happy with the Mars-pattern, but I've seen people ask for the Lucius and I can understand why. And I do think it will end up being the value option... 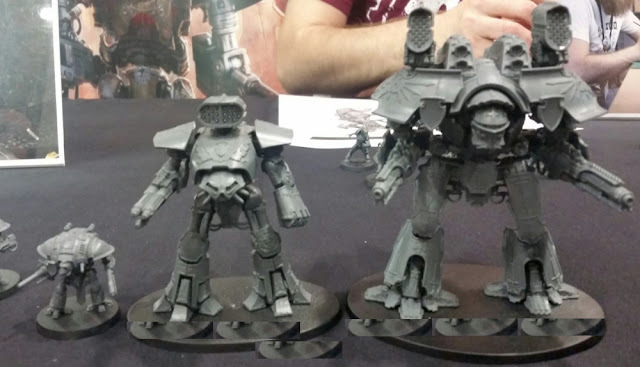 I don't think the Warlord is going to be any cheaper than the 40k knight, which is $140 US / 85 GBP. I don't mind being wrong! Those old SM/TL bases were 60mm at the bottom edge. That puts the new Warlord base at 100mm? 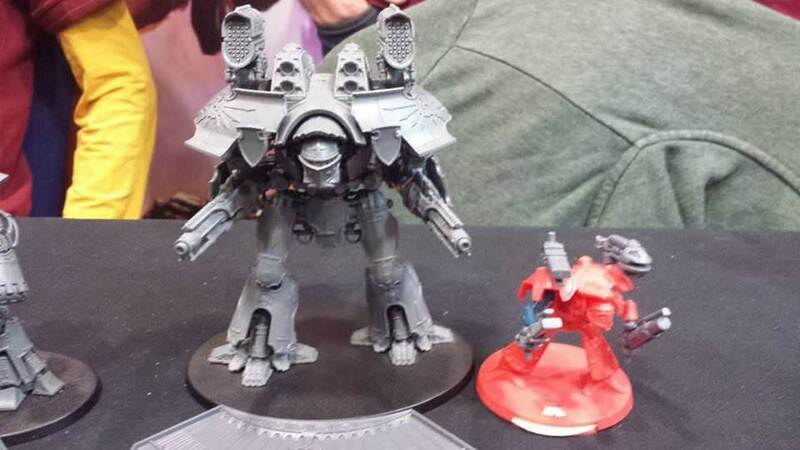 And the Titan itself at 120mm to the top of the carapace thingies next to the missile launchers?